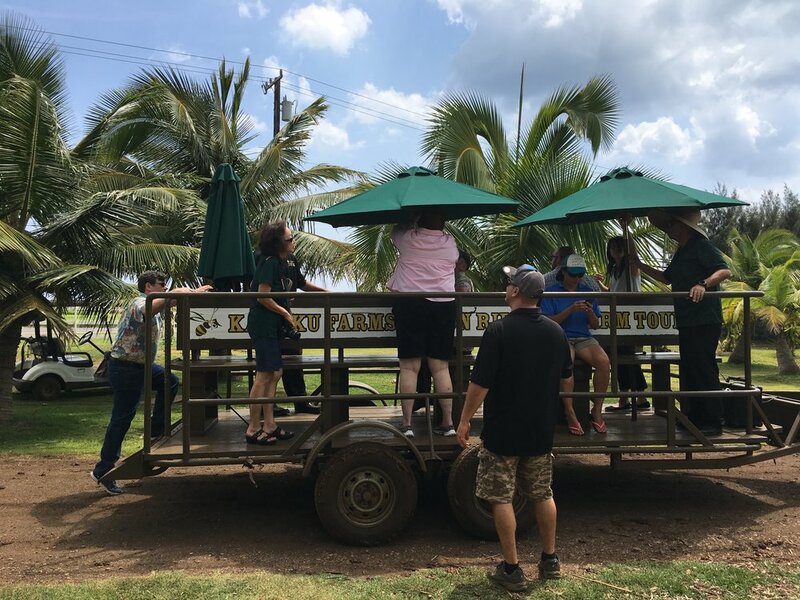 On March 26th, HSBP members toured the Ko Hana rum distillery, tasting room and farm in Kunia. We were lucky to have Robert Dawson, co-founder of Ko Hana, as our tour guide. Robert recounted the years of work he did researching cane varieties, obtaining land, and growing the first crop of sugar cane to make his unique brand of “agricole” rum - a distilled liquor made from the original pressings of the sugar cane, in place of the molasses by-product from which most of the world’s rum is made. 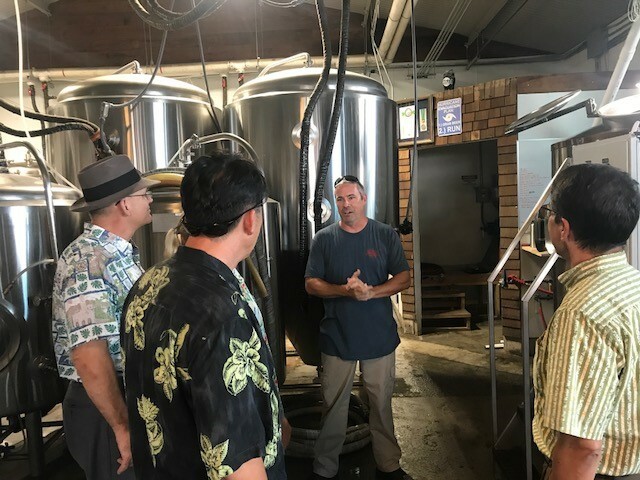 He talked about crop failures, permitting problems, changing Hawaii’s liquor laws, and the emotional efforts of raising funds and parting with equity along his journey. 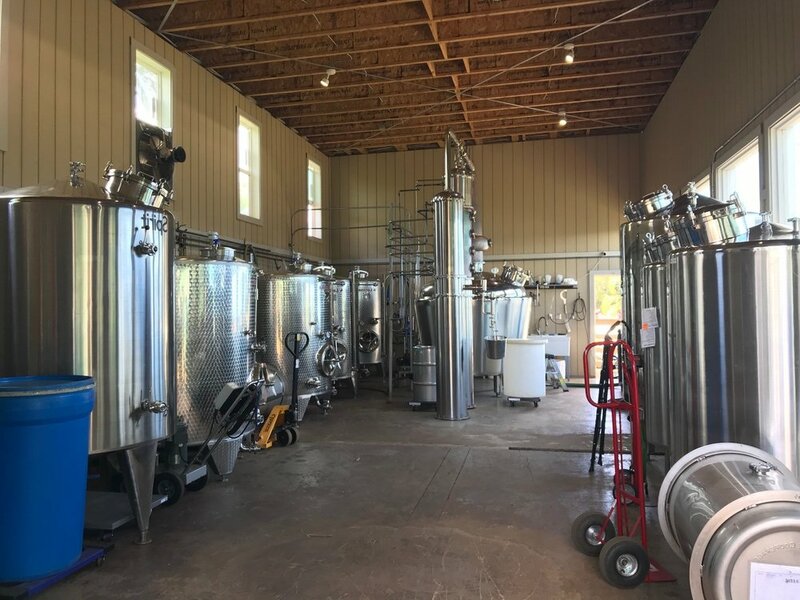 He also boasted about their successes in obtaining and branding beautiful glass packaging for their product, adding farm produce and a food truck to the facility, and the growing awareness of - and distribution to - locals and visitors of their five rum varieties, including one made with local cacao and a brand of local honey they developed. A really nice way to end a week, the tour was a hit with everyone. 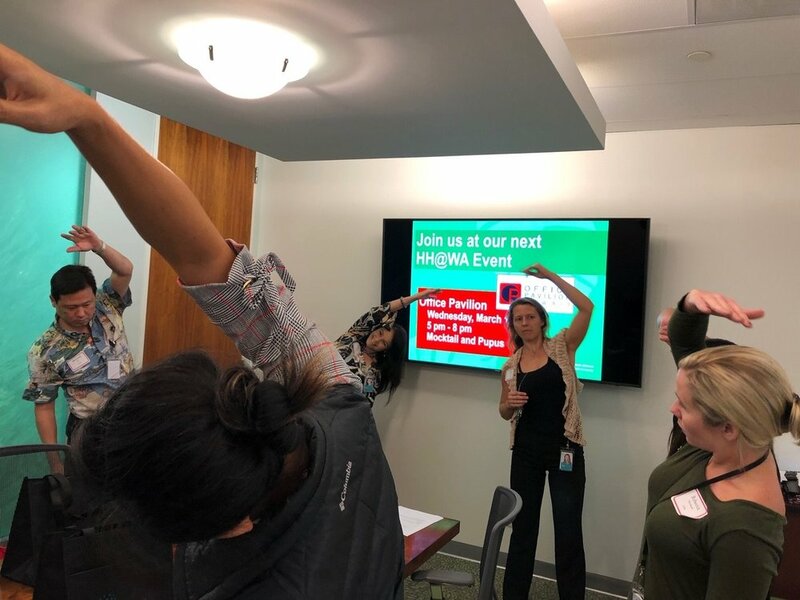 On February 28, 2019, HSBP members visited UHA Health Insurance to learn more about Well Being in the Workplace and Catalytic Coaching. President & CEO Howard Lee welcomed us and joked that not all of the healthy living changes were immediately welcomed, such as the removal of unhealthy snacks from hallway vending machines. However, he added, other benefits such as having three hours per week of paid time to work out more than compensated for any initial, mild concerns. 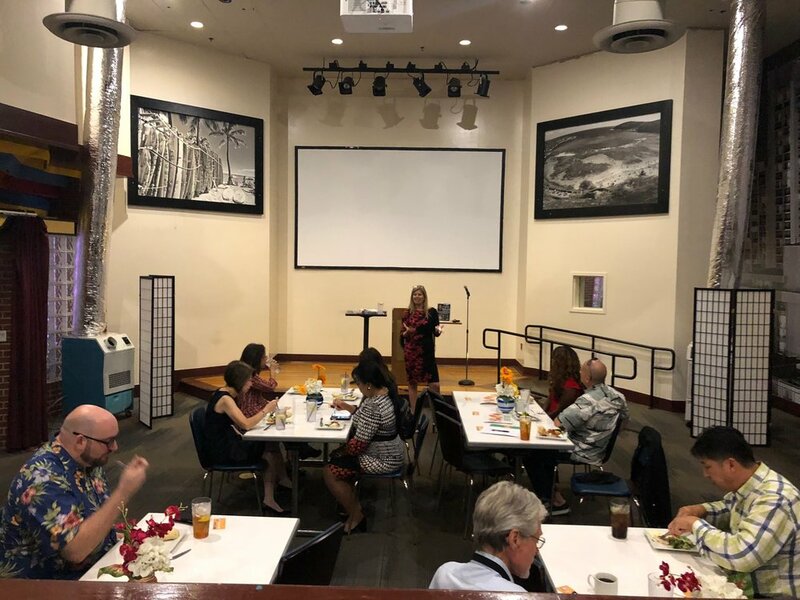 Erica Kolcz spoke passionately about the Hawaii Health @ Work Alliance, which is a subsidiary of UHA. 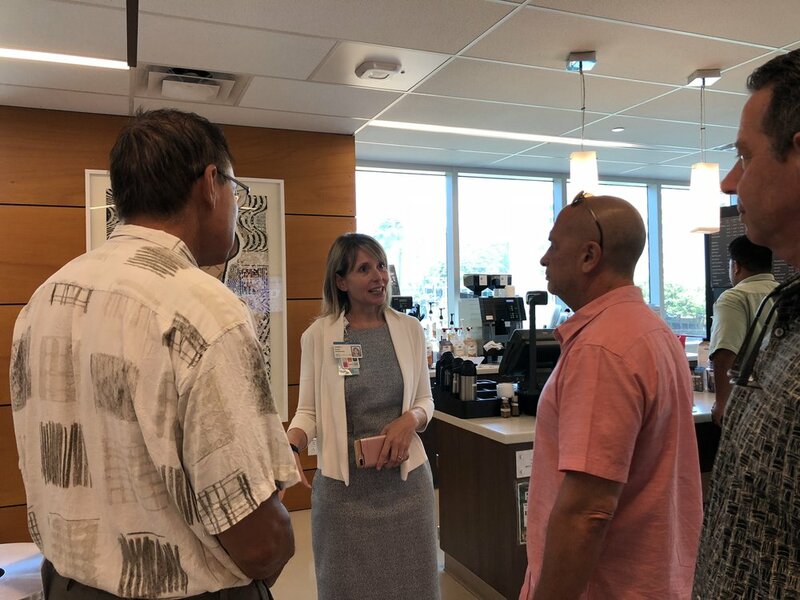 Among some of the programs they've implemented are: having filtered water stations around the office; encouraging walking-meetings among staff; and placing out complimentary healthy snacks in the common kitchen. "We try to make healthy steps as easy as possible," Erica said. 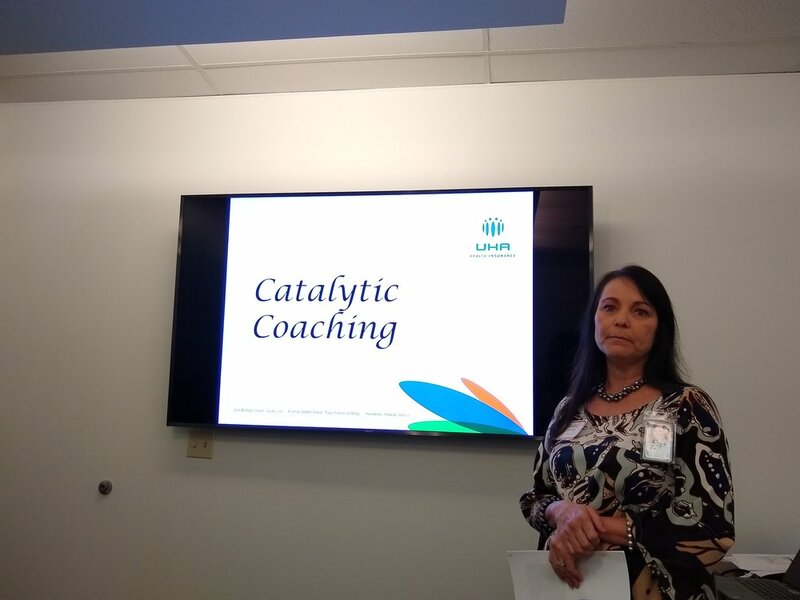 Emily Santiago introduced our group to alternative performance evaluations called Catalytic Coaching that focuses on goal-setting with employees, instead of evaluating past work so that "employees will take more ownership," she said. Evaluations would also no longer be tied to pay increases. 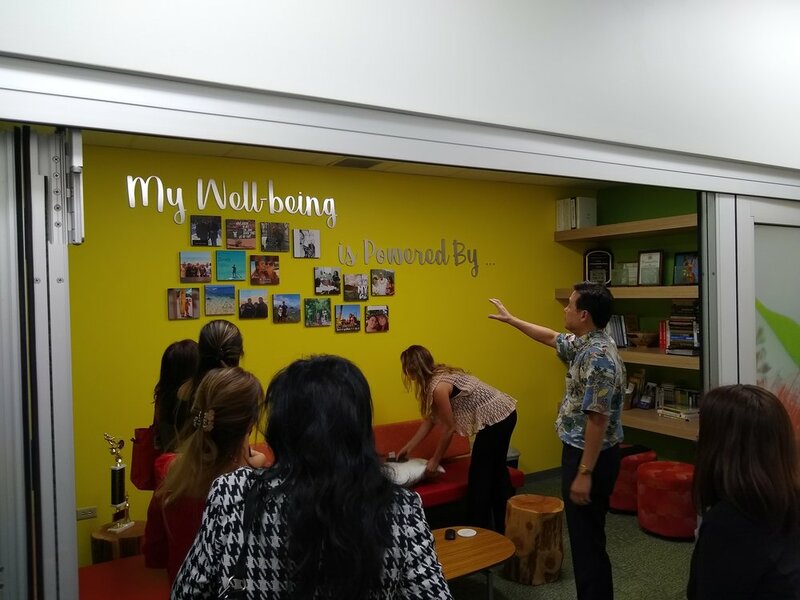 The tour led by Howard Lee led us through scenic and calming office spaces, healthy snack stations, up the stairs painted with motivational signs, and ended in their Wellness Institute which doubles as a meeting and workout-training room. We finished the tour with... surprise: healthy snacks! Mahalo UHA! 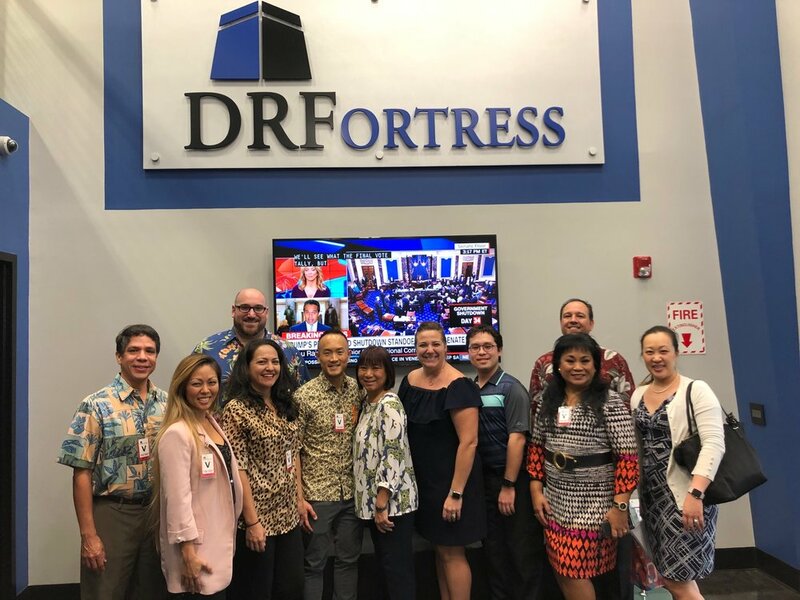 On January 24, 2019, HSBP members visited DRFortress for the first Boardroom tour of 2019. HSBP last visited in 2013 so much has changed since then. DRFortress is the largest and only carrier-neutral data center and cloud services provider operating in Hawaii. 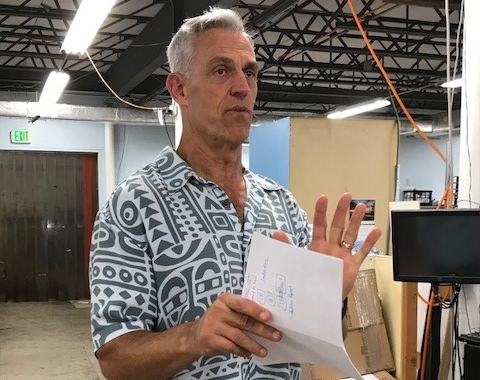 President and Founder Fred Rodi, formerly with Equinix and Sprint Hawaii, gave us a personal tour. Due to confidential and sensitive data in the secure facility, identity is verified by an eye scanner- just like in the movies! Even the location is hard to find, "security by obscurity," Fred joked. We all received Visitor badges and were on our way. The facility was built in 2000 and became DRFortress in 2006. DRFortress offers a comprehensive suite of co-location and cloud computing and storage services providing customers high-end, next generation solutions to meet the complexities of their technologies and business requirements. As there is no other Hawaii-based provider with a similar footprint, service portfolio, experience and skill set, DRFortress is able to assist both international and local companies with maintaining and securing their mission-critical systems and business continuity plans. HSBP Members enjoyed a tour and talk at the YWCA on Richards Street in October. 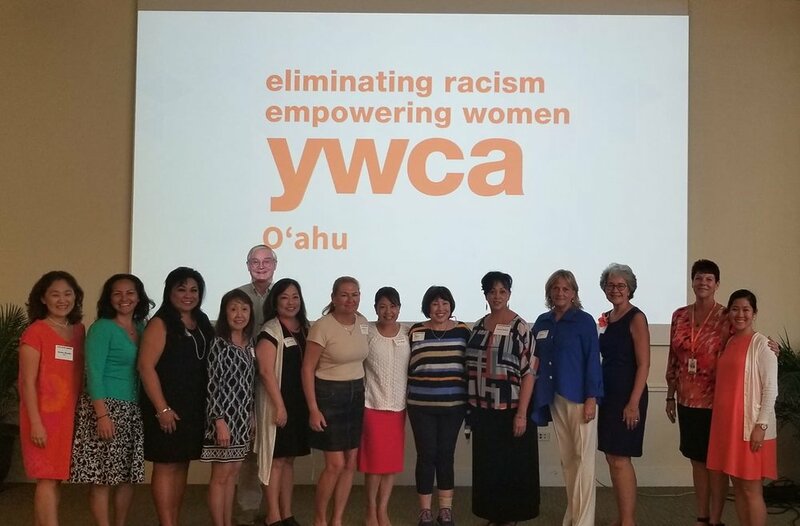 The group was addressed by Noriko Namiko, CEO, as well as Kehaulani Coleman, Community Enterprise Developer. Members were allowed behind the scenes access into the “Dress for Success” rooms which are normally closed to the public. The quality of the selection available surprised many attendees - some even wanted to shop. The Dress for Success program serves and prepares underprivileged women for job training, interviewing and dressing skills. There’s even some computer training and staff on hand to help with job applications and interview role playing. HSBP boardroom attendees were honored to be addressed by two women who have been served by the program, both of whom came out of years of incarceration to land on their feet. The YWCA has three main community service initiatives, far beyond the exercise and fitness classes many are familiar with. They are economic development, anti-discrimination, and health. Their transitional housing program is responsible for helping many in our community receive and maintain a residence. This tour really made everyone who attended even more proud of this well regarded institution. 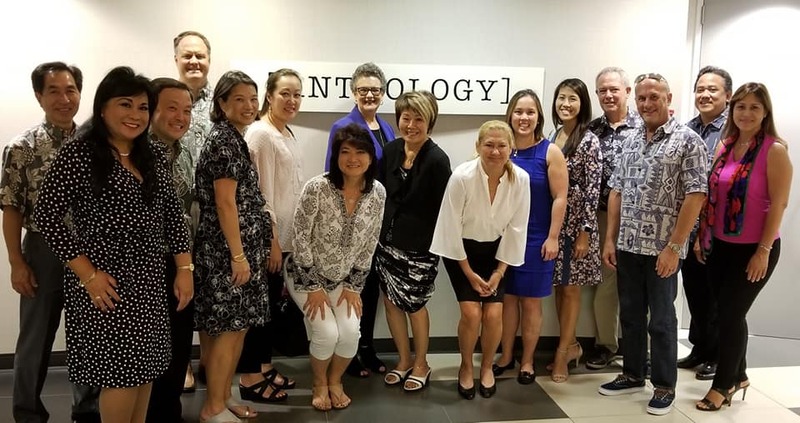 On September 17, over 20 HSBP members attended a sold-out boardroom tour at Kapiolani Medical Center for Women & Children in Honolulu. CEO Martha Smith was there to greet us when we arrived. We started with a guided tour, followed by a healthy lunch. Martha gave a short presentation and entertained questions from the group. Did you know they deliver over 6,000 babies every year? Chances are you know someone who was born at Kapiolani hospital. It is a teaching hospital affiliated with JABSOM which means they are training doctors, nurses, pharmacists, therapists, etc. 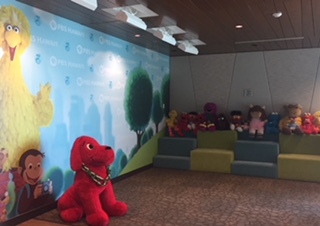 Starting this month, they will be starting an After Hours Care program (5-9pm) so busy families can see a pediatrician after hours without going to the emergency room. 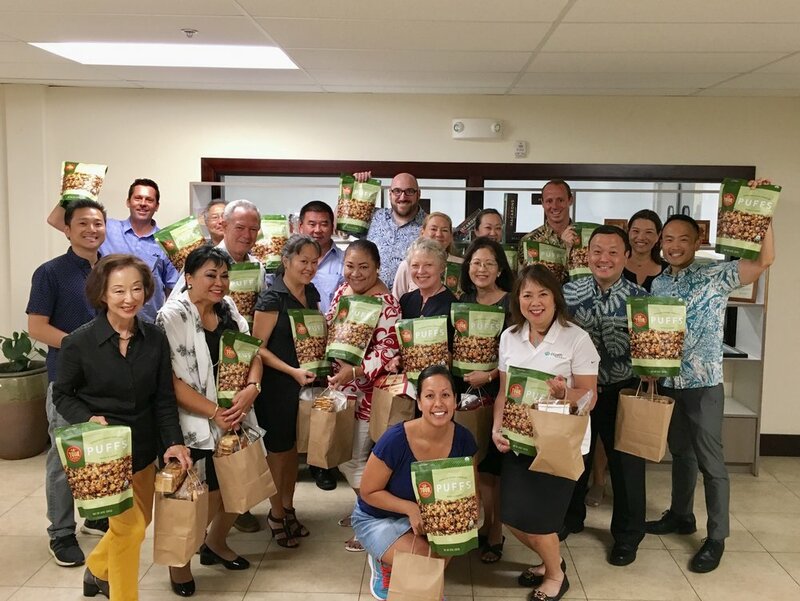 We had a great visit at Kapiolani Medical Center and many thanks to our generous hosts! Dave & Busters Honolulu opened in Ward on October 3, 2001 and Kendra Murray was there from the start. Kendra, Senior Corporate Sales Manager, was our gracious host for the August Boardroom. We started with a delicious lunch buffet in the Paina Hale room, followed by a tour with Kendra. We visited the rooftop with beautiful views of the city, dining areas, game room, kitchen and offices, and sports lounge. We finished the tour at new Jurassic World virtual reality game. Everyone had the chance to experience the high tech “VR” world! Nationwide, D&B opens 6-8 stores per year- recently they opened in Anchorage, AK! D&B is considering a second location on Oahu, possibly on the West side. D&B doesn’t have many direct competitors locally- currently only Lucky Strike. They bring in a good mix of locals, military, and visitors. Did you know D&B hosts on average 3,000 events a year? Check out D&B for your next corporate event or party. They have multiple event spaces and can accommodate large or small groups. We learned they have one of the best happy hours in town- 3:45pm- 7:00pm daily! Every Tuesday is “Taco Tuesday” and Wednesday nights attract the millennial crowd for “HI Life Wednesday” with a live DJ. On Friday nights, there’s a great view of the Hilton fireworks. We had a great time and learned that D&B is much more than meets the eye! They have something for everyone. 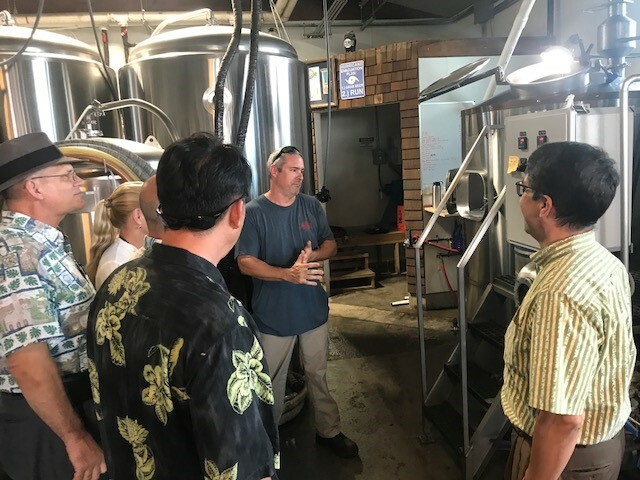 On June 28, 2018, fourteen of our HSBP members participated in a tour of the HECO facility located on Ward Avenue. 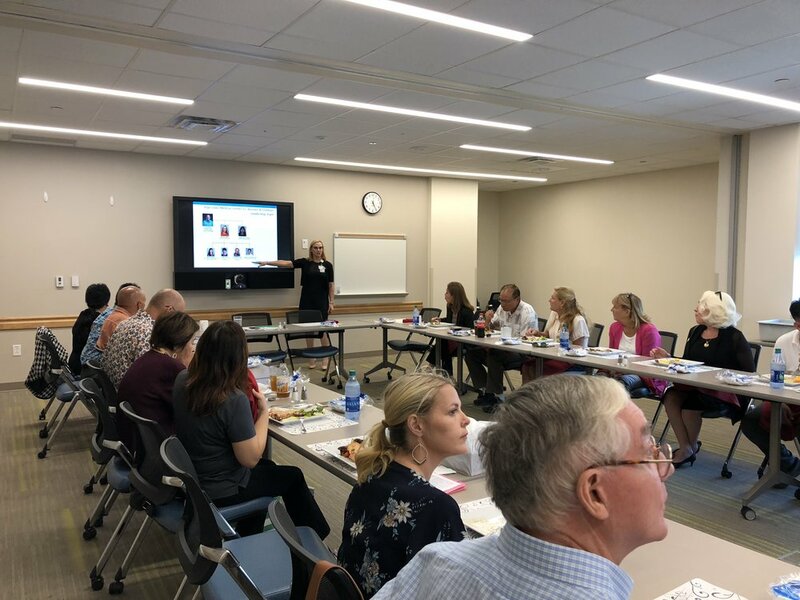 It was quite an informative and educational session, with many of the attendees eager to ask LOTS of questions both helpful to know as residents and owners/employees of our community. Shelee Kimura, V.P. 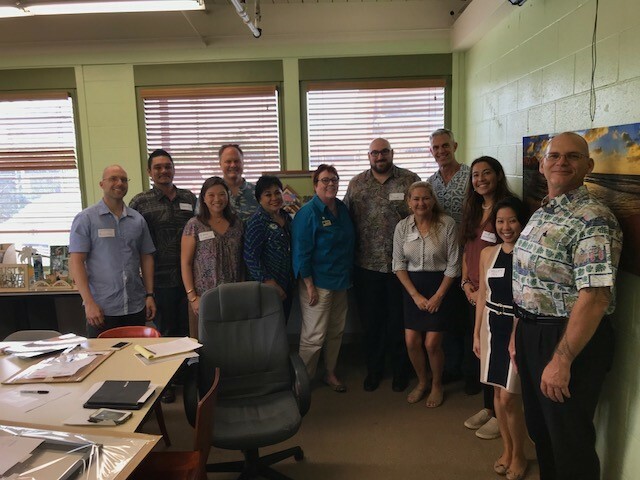 Corporate Planning & Business Development shared “Destination 2045: Hawai’i’s Clean Energy Journey” , stating that Hawai’i has the most ambitious clean energy goals in the nation and that by Year 2045, 100% of electricity sales will come from renewable resources. Currently, Hawai’i is already looking to be at 30% of this goal by Year 2020. Q: Has HECO ever considered wave energy? A: There are pilots but not at the commercial level. Q: What is Oahu’s energy usage? A: Average load is about 800 megawatts per hour OR almost 20,000 megawatts per day. Q: What time of the day is energy usage highest and lowest? A: Peak period is between the hours of 6:30-7:30pm (everyone is at home, preparing dinner, watching tv, etc. ), lowest usage is between 12midnight-3a.m (most people are sleeping). Q: What is the biggest generator of renewable energy? Q: Why doesn’t HECO look at a way to build an undersea cable that connects all the islands rather than produce renewable energy for the islands, separately? A: Other places able to do this are not posed with the challenges we have here in Hawaii - depth of the ocean under the continental shelf much more and distance to run an undersea cable would be very costly. HECO continues to test a broad range of technology, and also does its part in contributing as a company to meet our renewable energy goal as they now have 30 electric vehicles in their fleet and rolling out charging stations for their employees use. After our opportunity with Shelee, Mr. Henry Lee, HECO’s System Operations Manager, provided us with a very exclusive opportunity to view their team in action monitoring the many computer systems to ensure we’ve got our power 24-hours a day, 7 days a week, all year long. It was quite an operation to witness in person! It was a great day of “news” about KITV4 Island News on May 23, 2018. 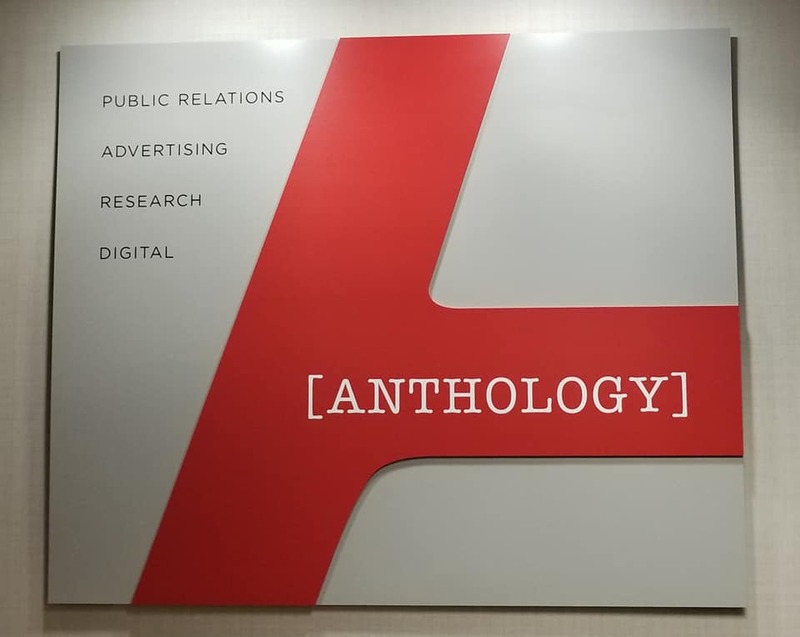 Our group of HSBP members trekked it out to the station for a very informative and fun day learning more about the innovative and creative ways this news station has managed to keep its viewership interested and maintain its high ranking! The tour started with Island News anchor Diane Ako providing us with a firsthand look of the studio where the reporting is done and some insight on how the newscasters work with the various set equipment to flawlessly report planned and sometimes unplanned news (i.e. “breaking news”). From the studio and set (where we took LOTS of photos being “pretend reporters”), we were taken through the various offices where we could see the craziness of what takes place on a daily basis in order to stay on top of newsworthy stories that the viewers need to know about and want to know about. Then there was the “assignment desk” which sits on a large platform in the middle of everything, and where it was explained to us that this is where direction is given to the newscasters, the producers, the field reporters, etc. It was an eye-opening scene to hear machines, radios and telephones going off all at the same time with news coming into the station and being fed from various sources. Interim General Manager, Russell Elwell, completed the tour in his executive conference room where he provided us with interesting facts that many of us were learning for the first time. For instance, KITV4 Island News has been in business since 1954 as a radio station until 1958 when it became televised and eventually renamed to KITV in 1973. The station is partnered with ABC network news, also runs syndicated programming (with its #1 show currently being the new Rosanne series), is affiliated with MeTV which airs classic TV favorite shows from the 50s, 60s and 70s (i.e. MASH, the original Hawaii 5-O series), and if you go to the KITV4 news site, you can watch the news digitally and also enjoy programming that can only be found on KITV4 Island News (just hit “features”). It is no wonder KITV4 Island News has a viewership of 1.42 million in the state of Hawai’i! 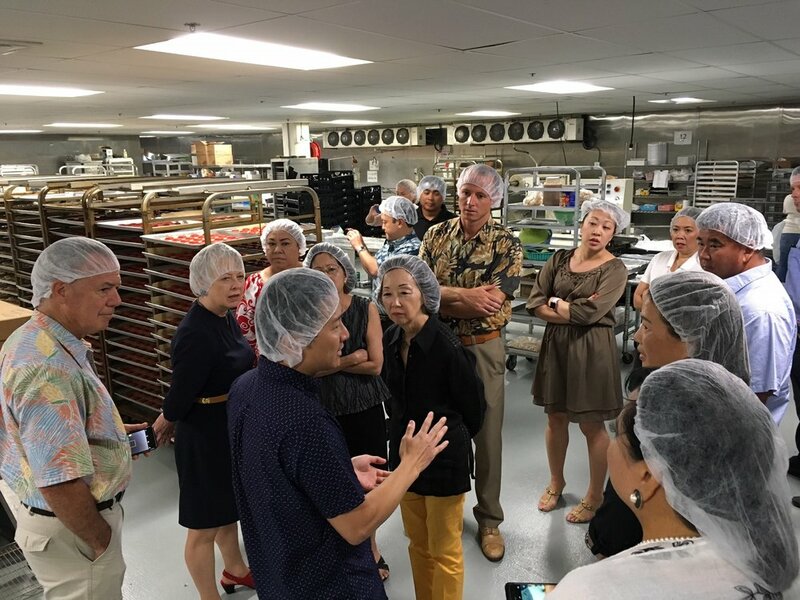 Members of HSBP were treated to a great tour of the Pictures Plus factory in Kapolei in April. 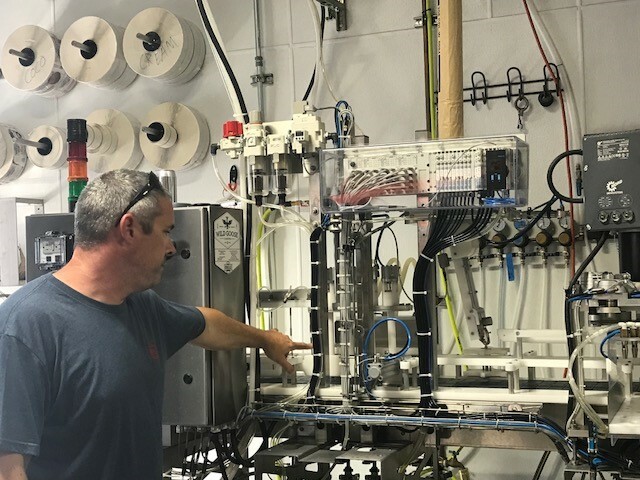 The tour was led by the owner, Kent Untermann, and supported by his daughter Alexa Untermann and their Creative Director, Kira Kaloi. The company started in 1986 and for several years just worked the swap meet. It was not until 1993 that they opened their first retail store in Pearl Highlands. Today, the parent corporation, The Art Source, includes Pictures Plus (www.picturesplus.com), Plus Interiors (www.plusinteriors.com), California Closets (www.californiaclosets.com/locations/hawaii/kahala-showroom a franchise) and Island Sole (www.islandsole.com, a cool slipper company with five outlets on Oahu and one on Maui. All their pre-fabricated art works (including the sole of their slippers) feature local artists from whom they license usage. Lucky tour members each received a free high quality picture printed on metal that is a really sweet souvenir of the fact filled afternoon. The store was started by John MacArthur in 1957 and eventually took a partner - Doug Martin When he was 70, John retired and left Doug to run the business himself. When Doug decided to retire, he went on a search for the perfect person to replace him: He choose Michael Kam who gave our tour. The company is still run as a family business (that’s the definite ambiance). Twenty-one of us were lucky enough to go on the tour of Martin & MacArthur. We learned about Koa and the construction/building of their fine furniture and accessory pieces. Beautiful pieces which most of us have never seen – beautiful! Go look in a store, you will be wonderfully surprised to see what is there today. Martin & MacArthur only buys Koa from Hawaii. 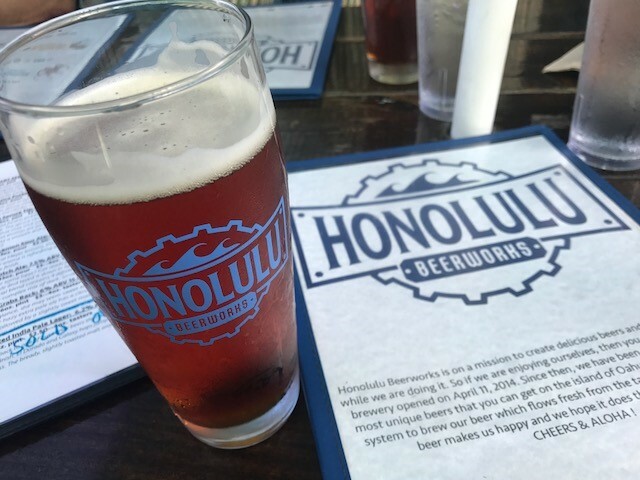 They wanted to support Hawaii from the beginning of their business. The second of the original owners just retired recently (Doug MacArthur) and still comes to visit. The factory is filled with wood, work in progress and craftsmen. The craftsmen are very special – each with their own job. Each piece is made totally by one person and signed by them, also. There is plenty of room to work, as well. It is not a crowded factory floor – each craftsman is given enough space to create a fine piece of workmanship for someone else to cherish. It was amazing to go there and see the work being done, the immense amount of wood on hand, the special care that each person takes in what they are making and the admiration they share for one another. It is just simply an amazing place with beautiful craftmanship and finished results. Martin & MacArthur now has 17 stores each having an assortment of Koa wood, Glass and Ceramic. All made by craftspeople (handmade). All the Koa comes from here, the glass and ceramic may come from the mainland crafters. This was a fabulous tour, such a blessing – and then they thanked us for coming! Hawai'i Public Radio has an interesting history. It began in 1976 as Hawai'i Islands Public Radio, but the switch wasn’t turned on until November 1981, at the University of Hawai'i, in a studio of radio equipment, 1 transmitter, and walls lined with egg-cartons to help modify sound. Today, HPR owns its studio location on Kaheka Street in the Ala Moana area. Scattered across our islands are 15 transmitters sharing news and music across our state. Work is underway to add Pahoa, on Hawai'i island, to the network of transmitters. In the Atherton Studio, we were welcomed by José Fajardo, President and General Manager of HPR. He originally comes from Puerto Rico and has spent 30 years in the industry around the nation, finding his way to Honolulu and HPR. Mr. Fajardo shared many interesting facts about HPR. HPR is a community owned and supported radio station with 2 streams. HPR-1 features news, talk, entertainment, jazz, blues, and world music, while HPR-2 streams classical music. As a member of the National Public Radio, the station purchases programs to air for its listeners, and, too, its team of on-air professionals deliver programs to us live from the studio. There are 195,000 listener combinations and 14,200 supporting members. We were told that 14,200 is a record number for HPR. HPR-1 (88.1) and HPR-2 (89.3) rank #3 in the market and is #2 with its share of listeners. On our tour, Gene Evans, Major Gifts Manager, and Jason Taglianetti, Multimedia Production Manager, took us into a room with a small studio and just across the studio is a wall of boxes with knobs, switches and lights. Our tour guides know what those boxes are for and how to operate them. I was impressed. Ray Cruz, Latin Beat, joined us as we stood in awe of the technology---some old and some new. Bill Dorman, Vice President and News Director, took us to another studio at the back of the facility. He showed us what sound looks like. In the music library, we met Gene Shiller, Music Director and Classical Music Host. He has an extensive collection of music. We were told that what we saw was just a fraction. Can you imagine? HPR is made up of 25 full-time, 22 part-time staff members and 40 regular volunteers. There are approximately 400 occasional volunteers. A good portion of the 400 volunteers assist with the fund drives. There are 2 each year. For several years now, HSBP members have visited the station during the fund drives to offer our assistance in answering the phones. We basically take donations from listeners. Hopefully, you will join us, to lend a hand at the upcoming fund drives, and, too, become a member of HPR. The next fund drive is just around the corner. Raising its own funds from adoring members each year, the monies received locally account for 94% of the kitty. Our state offers no funding, and a tiny percentage does come from the federal government. HPR is truly a successful business providing news, information, entertainment and music to all of Hawaii and those that tune in around the world online. Stay tuned and support your listener-owned radio station, Hawaii Public Radio. 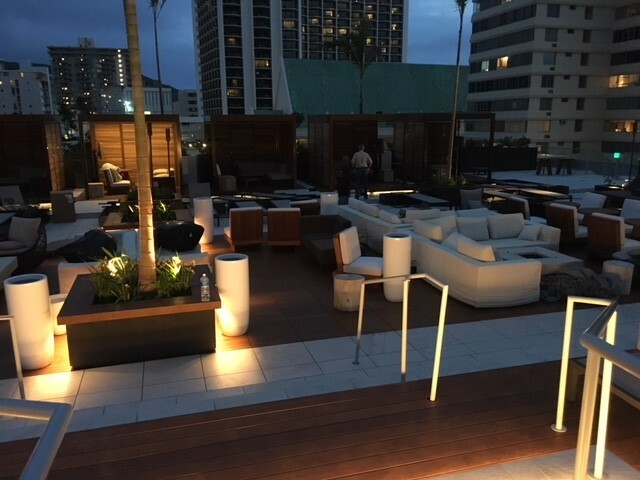 The November boardroom tour was a behind-the-scenes peek at the newly renovated Pacific Beach Hotel, designed by the award-winning firm, Rockwell Group, and rebranded as the all-new, vibrant ‘Alohilani Resort Waikiki Beach. The resort is named in honor of Queen Liliʻuokalani’s beachside cottage Kealohilani – the Royal Light or Heavenly Brightness – on the same location. 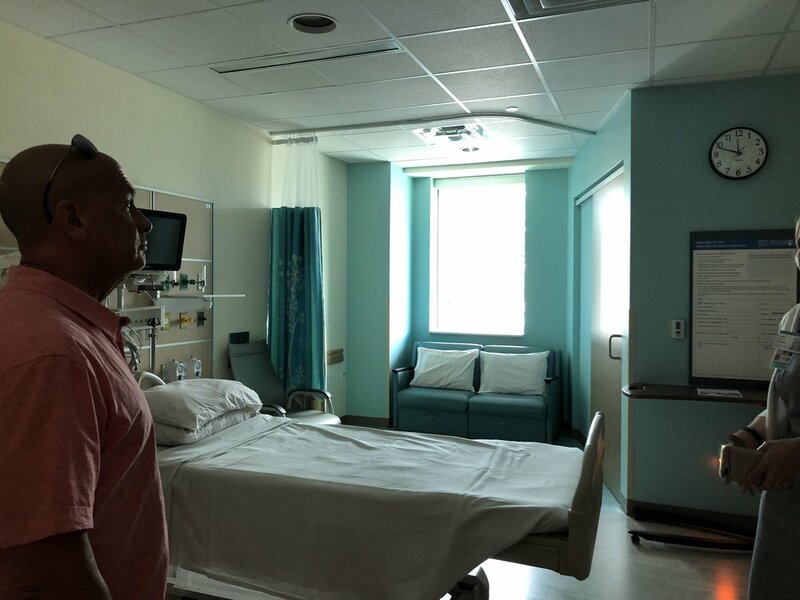 The tour was led by Rob Robinson, Managing Director, Highgate Hotels, who described the depth and breadth of the renovation, which cost over $115 million and took place over 18 months. Amazingly, the hotel never closed and continued to provide 1st class service to guests throughout the work. Now boasting 839 guestrooms, the resort also completely restored the 2-story, 280,000 gallon Oceanarium to pristine condition, holding over 500 fish. Wrapping around the Oceanarium is Lychee Restaurant, serving guests with a daily breakfast from 6am-10am and weekend brunch buffet from 10am to 2pm. 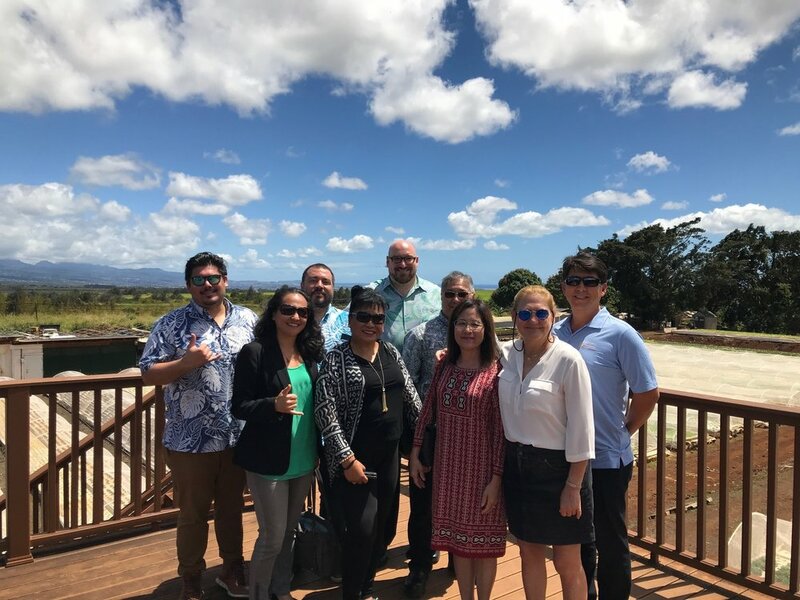 HSBP members got to see a standard suite as well as a gorgeous beachside suite, the new salt water infinity pool with a lovely tree top ocean view, and nearby Keiki pool and Swell Bar. Finally, were feted on delicious drinks and pupu in the O Bar in the open lobby just under the Oceanarium. Coming soon – not one, but two Morimoto restaurants: Momosan by Morimoto will offer a more casual experience and a diversity of Japanese dishes including ramen and yakitori, and the other, Morimoto Asia will be a special destination restaurant offering Iron Chef Morimoto’s world-renowned cuisine with a menu that integrates traditional Asian and Western ingredients. Previously, the hotel catered primarily to Japanese visitors, but the “repositioning” is targeting a broader demographic and locals with food, drink and retail. In summary: the resort has small touches throughout which make it warm and welcoming and overall, members agreed that a long deserved renovation of the property has been well done. 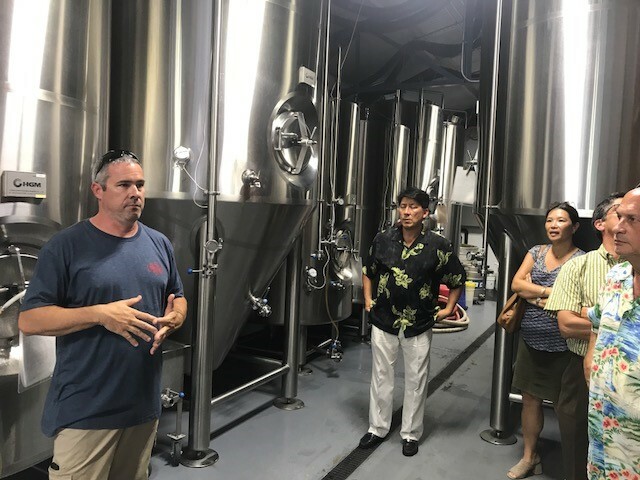 In October, HSBP members were treated to a tour of the gorgeous new headquarters of Hawaii public television on Sand Island Access Road. Did you know that PBS Hawaii has been in operation for more than 50 years? Established in 1965, the station provided educational TV for the University of Hawaii. PBS Hawaii came to be the Hawaii member of the Public Broadcasting Service through its success as the State-funded Hawaii Educational Television Network. 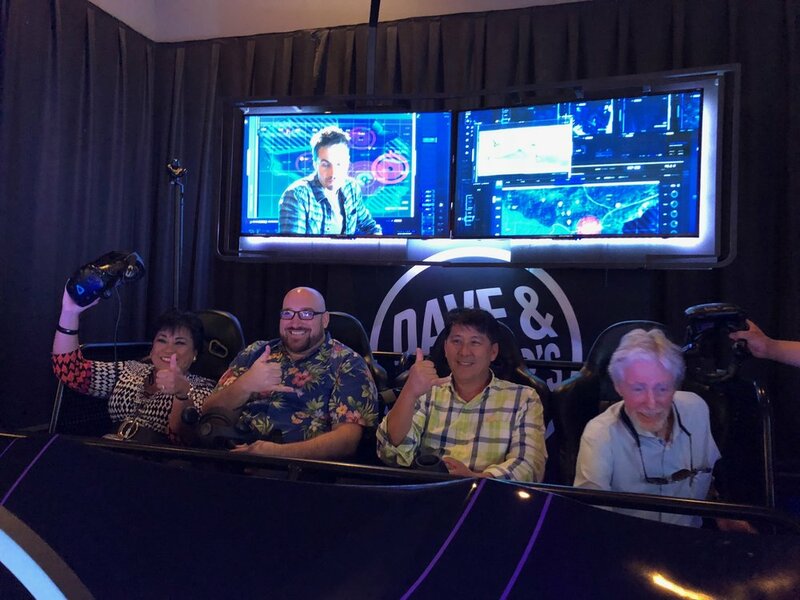 We were lucky to have the President and CEO of PBS Hawaii, Leslie Wilcox, lead the tour with a Q&A session from Jason Suapaia, VP of Integrated Media Production. Attendees got to see the broadcast room where most programs are filmed, with very cool cameras and touches that provide special effects when required. Although most HSBP members are probably familiar with Leslie Wilcox from her Long Story Short interviews, or the Na Mele musical series. 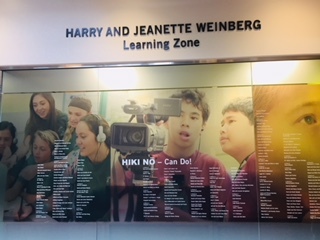 The crew seemed most proud of their work on Hiki No, a weekly half-hour program written by and featuring stories from high school students and now middle and even elementary students around the state. Especially interesting were descriptions of the work of the students along with their successesand struggles. Nikki Miyamoto, the Hiki No producer and online weekly editor, gave us an idea of the mentoring and heart that goes into each show. The show has received national recognition and is the epitome of the organization’s mission, which is "We advance learning and discovery through storytelling that touches lives”. 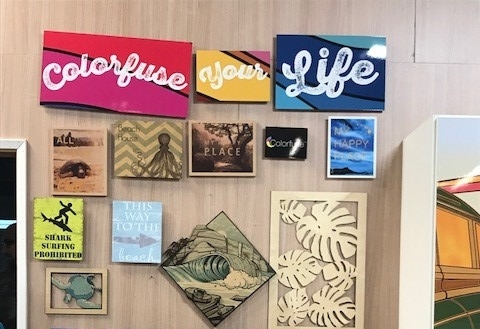 PBS Hawaii, being a non-profit, locally owned media company, has the freedom to feature topics that islanders are interested in---locally, nationally and internationally. It is its goal to address issues that affect us in Hawaii. All non-profits are tasked with raising funds to remain in operation. PBS Hawaii is no different. The funds for the new facility was raised entirely by PBS Hawaii with a successful capital campaign. They have several income streams—individual donations, grants, business support, and sponsorships. Believe it or not, they are not government funded. This is not a plug for donations---just informational details. interviews, science and nature, musical series, entertaining shows for kids and adults, and their support of island children offering them an education in media production, and more importantly, giving the children a voice in the community. 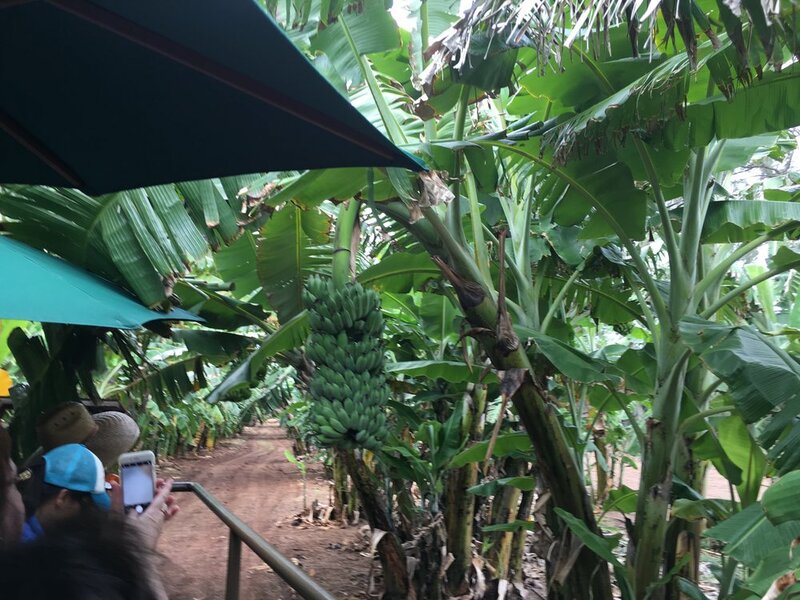 Our visit to Island X, located at the Old Sugar Mill in Old Waialua Town was "time well spent," wrote one attendee. Bill & Reba Martin have operated the retail location and coffee mills, since 1991. Bill gave us a tour of the coffee trees (just out back); explained the differences between the coffee blends and processes from "tree to shelf", showing us the coffee bean dry stations and milling plants. We also had the pleasure of sampling Waialua cacao and the finished coffee products. 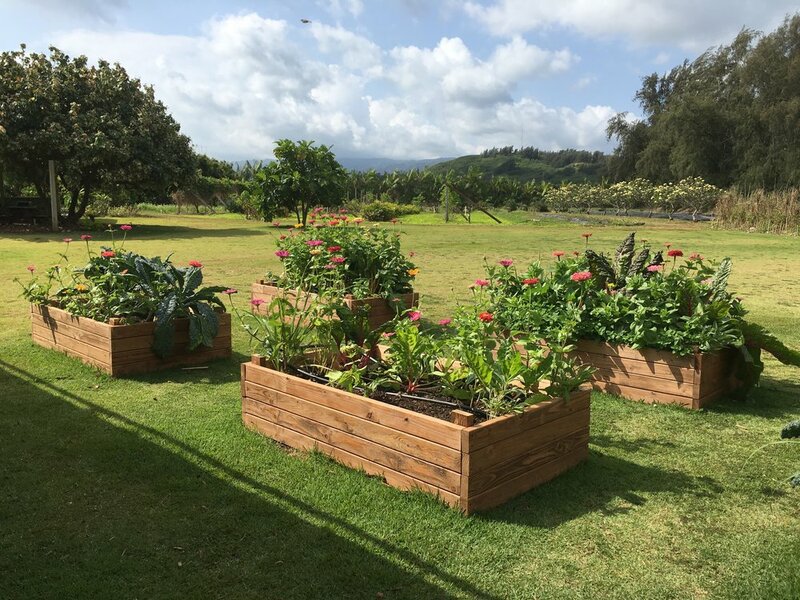 The small town of Waialua was once known for it's thriving sugar cane industry with the Waialua Sugar Company in operation for more than 100 years. The sugar mill played an important role in the economic and cultural development of the unique local community but in 1996, the sugar mill closed down, leaving the area devastated. waves . 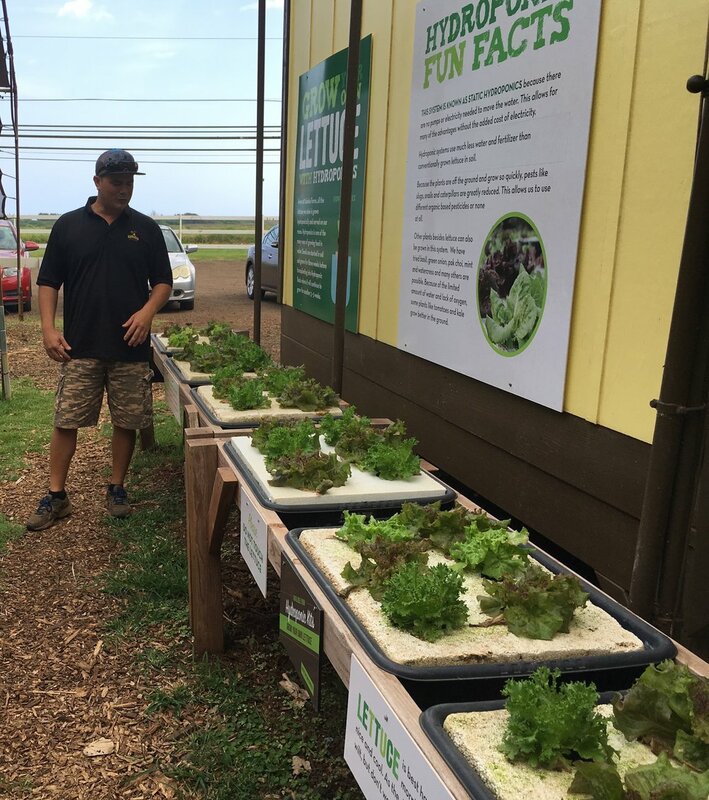 These days , the dusty old town of Waialua is making a name for itself as the home of genuinely rare , high quality "Hawaiian Made" products. Our presenter was Susan Yamada, formerly the Executive Director of PACE, now the Director of the University of Hawaii Ventures. Also present were Dean Vance Roley, and the new Executive Director of PACE, Peter Rowan. What an honor to have them both attend to greet us and join us for Susan’s presentation. Shidler College has more than 30,000 alumni worldwide. Did you know that PACE has 20 entrepreneurial programs open to all UH students, not just for those affiliated with the Shidler College? PACE was founded in 2000 and has been growing and expanding ever since with the goal of promoting entrepreneurial thinking. 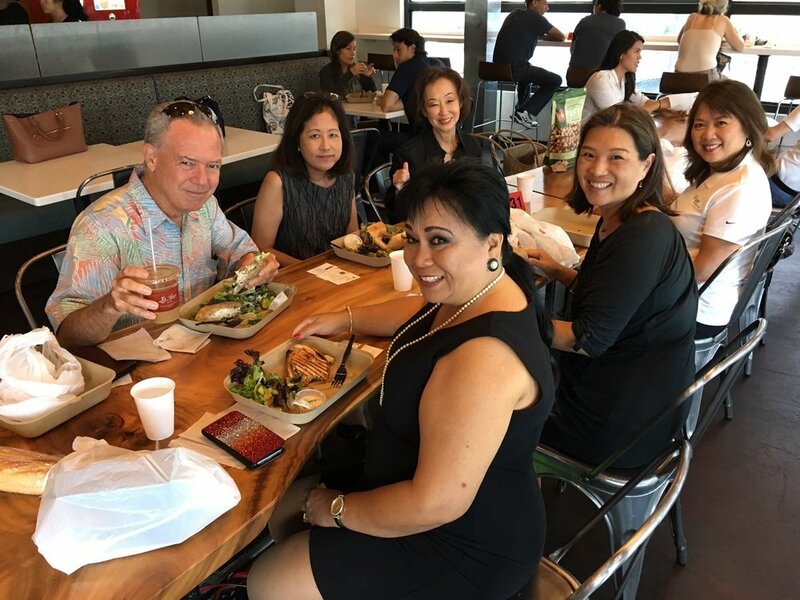 Shidler is very active in the community creating relationships between its community partners, its students and its faculty. In her opening, Susan said, “The world is flatter than ever. The competition is fierce.” As innovation disrupts the status quo, there will be more change in the next 5 years than in the past 50 years, thanks to the ease of access to information, which continues to expand the horizons of entrepreneurs. and who knows what will be ahead for you. June 29, 2017 - La Tour Bakehouse’s humble beginnings can be traced back to a small Vietnamese sandwich shop in Honolulu’s historic Chinatown. When Thanh Lam opened the very first Ba-Le Sandwich in 1984, his vision was to offer delicious and authentic banh mi sandwiches on freshly baked bread. Unable to find a supplier that could produce the same crusty french bread he remembered from his youth, he learned how to bake it himself. His dedication to quality bread and a focus on customer service has spanned nearly three decades and countless loaves of bread. 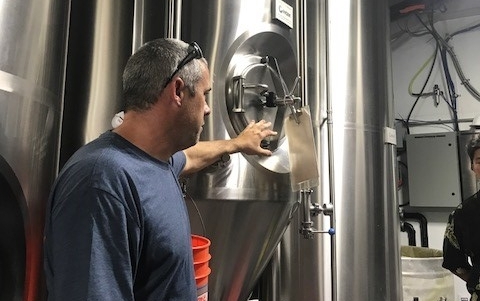 Throughout the years, the small family business has grown to include nearly 20 Ba-Le shops, a thriving wholesale business, presence at numerous farmers’ markets around the island and an exciting retail concept. 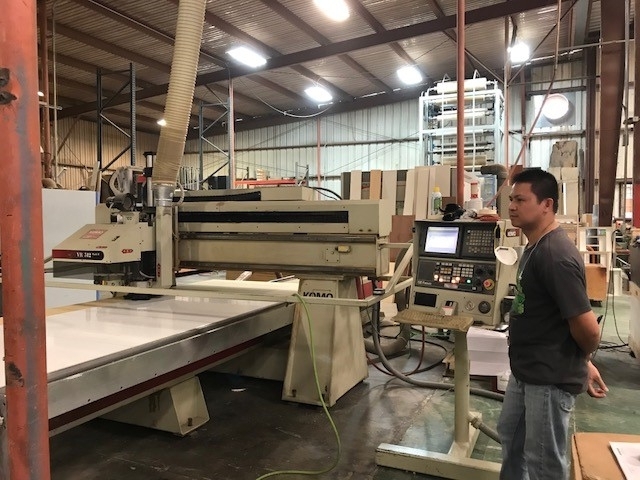 Due to the tremendous growth and success of the wholesale operations, Thanh and his two sons decided that a new name would better encompass the range of products offered. La Tour Bakehouse was introduced in 2011 and reflects the artisan techniques used by Executive Pastry Chef Rodney Weddle. HSBP members were fortunate to have one of Thanh’s sons, Brandon, spend some time to share the company’s story and history, including his father’s very personal journey as a refugee from Vietnam. 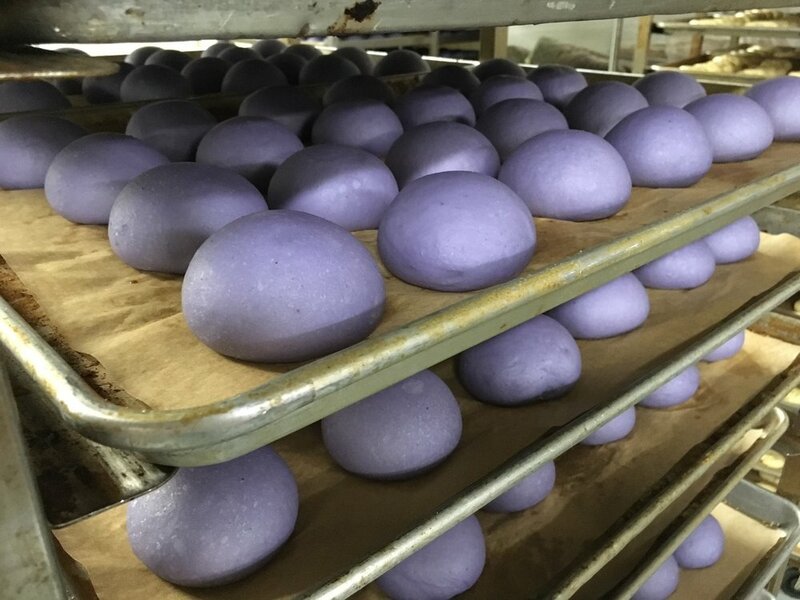 A tour of La Tour Bakehouse’s 80,000 sq. ft. facility followed, where they bake over 300 fresh products for hotels, airlines, supermarkets and local restaurants. La Tour’s future expansion plans include growing a reputation outside of Hawaii with their Furikake Puff, now selling in Costco warehouses across the mainland. 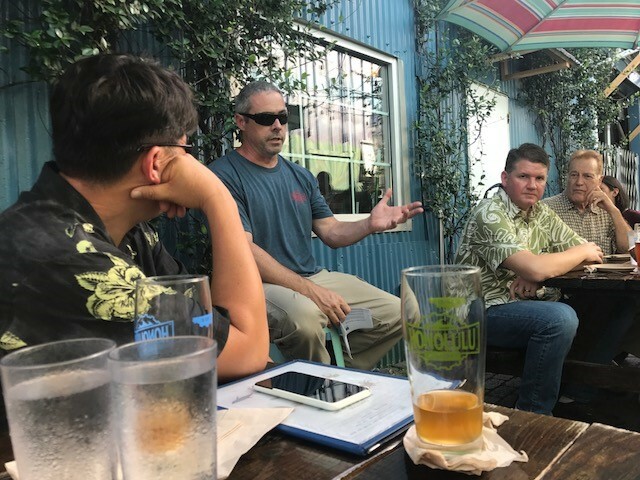 While they are bucking a trend of a declining Hawaii manufacturing industry by producing the puffs in Honolulu, Brandon discussed the challenges and costs related to shipping their products to the mainland and hinted at considering other options that will help take their business to the next level. The event concluded with a very exciting surprise when Brandon generously offered everyone an empty shopping bag to fill with whatever pre-packaged goodies that could fit in the bags! It was like “Supermarket Sweep” and everyone went home with wonderful treats! Many members in attendance also stayed to have lunch at La Tour Café afterwards—it was a delicious way to show our appreciation and support for a great morning with Brandon Lam and the team at La Tour Bakehouse! 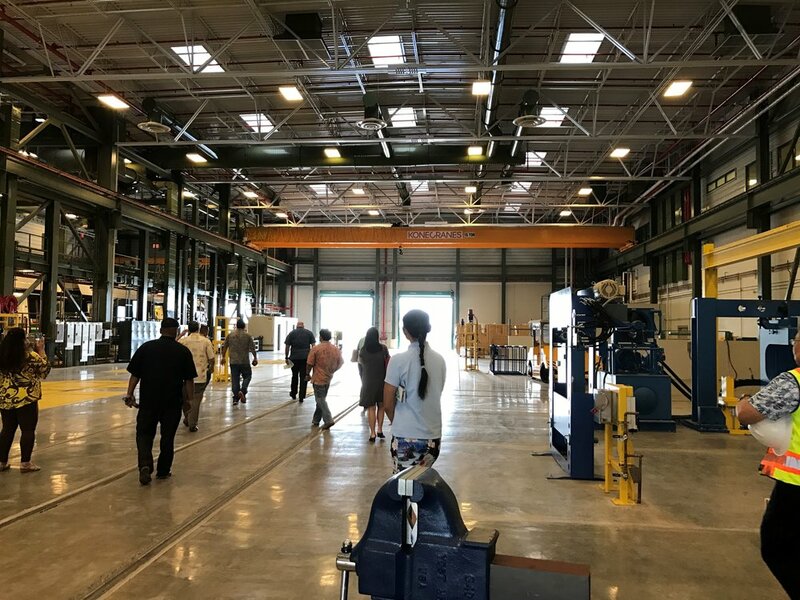 HSBP was treated to a tour of the Honolulu Authority for Rapid Transportation (HART) 43-acre Maintenance Storage Facility and Rail Operations Center in Pearl City for our March Boardroom event. The Honolulu Rail project is hoping to open as early as 2020, and the entire system is projected to come online by 2025. HSBP members were able to see the maintenance facility where the trains will be cleaned and maintained on a nightly basis, as well as the operations center where the trains will be controlled. Honolulu’s system will be the first completely driverless transit system in the U.S., so naturally we were very curious to see the nuts and bolts behind the trains. Akira Fujita, the Project Manager for the facility, gave us a great overview of the coming system and we were able to board a sample train to see exactly what the city will be getting. Officials explained that there is a lot of emphasis on safety and security, personal safety for passengers as well as the system as a whole. Ultimately, the system will connect West Oahu with downtown Honolulu and Ala Moana Center via the airport. Everyone expressed hope that the final system will deliver relief from the rush hour traffic and logjams that currently make commuting from West Oahu to town so painful.